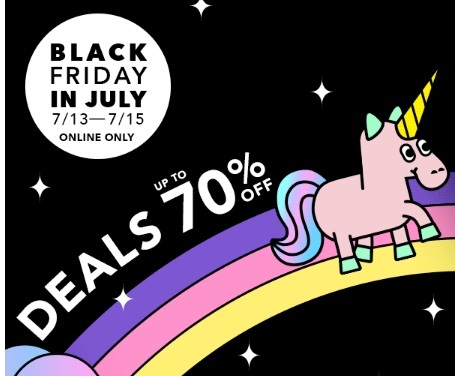 Forever 21 has a Black Friday in July promotion now, it's like finding a unicorn! Save up to 70% off select items throughout the store online! Offer is valid online only, July 13-15, 2016.